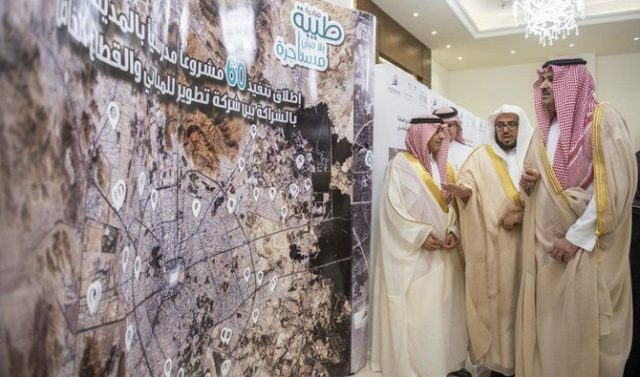 Saudi Arabia aims at providing 60 public schools overseeing the launch of a new partnership program between the Ministry of Education and the Building Development Company in Madinah. “The partnership will have a positive impact on Saudi students and contribute to the training of teachers and the development of the Kingdom’s curriculum,” Madinah Gov. Prince Faisal bin Salman said. The project is a part of an initiative seeking to decrease the number of rented school buildings during the coming years. These efforts reflect the keenness of King Salman’s government to support the education sector at all levels. Director of Education in Madinah Nasser bin Abdullah Al-Abdulkarim thanked Prince Faisal for his support of the region’s educational projects. “This steps contributes to the achievement of the Kingdom’s 2030 Vision and the national transformation plan that focus on the role of Saudi youth in the Kingdom’s development journey,” Al-Abdulkarim said.